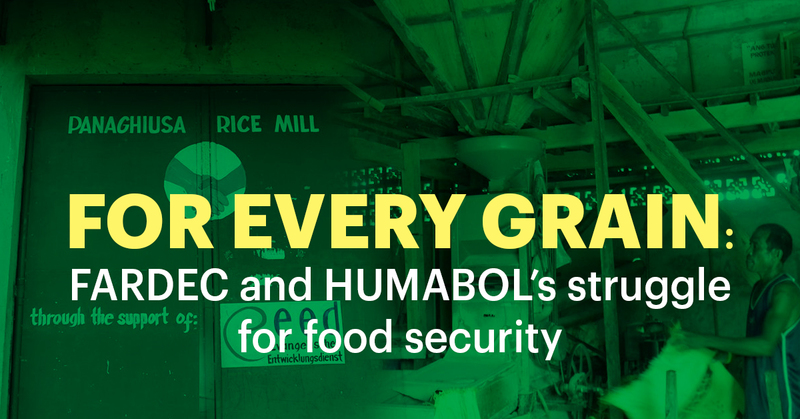 In commemoration of the 70th anniversary of the adoption of the Universal Declaration of Human Rights on December 10, the Assert Socio-Economic Initiatives Network (ASCENT) will showcase a series of articles featuring development workers and socio-economic projects under attack by state security forces. These include: the illegal arrest and detention of Benito Quilloy and Rita Espinoza, the deportation of Sr. Patricia Fox, the continuous assault of paramilitary groups against the alternative schools of the Mindanao Interfaith Services Foundation, Inc. (MISFI) and the Alternative Learning Center for Agricultural and Livelihood Development (ALCADEV), and the raiding of the Central Visayas Farmers Development Center (FARDEC) rice mill. But with all the harassment, threats, vilification, trumped-up charges, and extra-judicial killings, that they have experienced, the people, communities, and institutions have forged ahead and are continuously gaining ground. 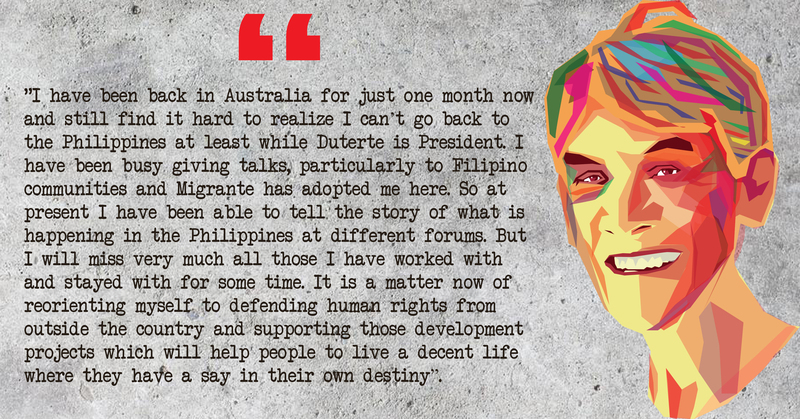 The Duterte government has failed to recognize that genuine development happens when human rights are respected and enjoyed by the people, instead of being restricted and abused. ASCENT hopes that the cases featured in this web series will inspire development workers, human rights defenders, and other progressive forces to continue fighting for people’s rights. Benito Quilloy and Rita Espinoza are victims of trumped-up charges concocted by the police and military, consistent with President Duterte’s crackdown on progressive activists, human rights defenders, and development workers, and labeling them as ‘terrorists’. Benito Quilloy and Rita Espinoza have spent almostall of their lives in the service of the poor and marginalized sectors of society.